Need directions? Check out the maps here! 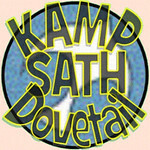 This is the map for the location at which KAMP Dovetail is held - Rocky Fork State Park in the KAMP Dovetail Activity Area. This is also the location of the LEAP-In Training. Many of the meetings are held at the Hopewell Center, south of Hillsboro, Ohio off S.R. 62 on New Market Rd.